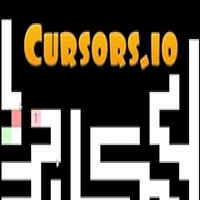 Cursors.io is one of the original io games. It is a strategic/maze type game where you have to work along with other players as a team to get through the levels. Game directions: When playing cursors.io, it is important to make sure that you work with the other players in order to pass through the levels. If you do not, it will be difficult, and in many cases, impossible to move through the maze. Cursors.io Strategy Always work with the other cursors as a team.